In the city of Borzna of the Chernigov area at 10.50 Sunday at a polling station, a man threw incendiary mixture. About it reports the Ministry of internal Affairs of Ukraine in his Twitter account. According to law enforcement, no one was hurt. “Chernihiv: 10:50 in the town of Borzna in one polling station at St Panteleimon Kulish,105 the man threw incendiary mixture with subsequent combustion. 10:51 the fire is extinguished. As a result of incident nobody has suffered. The electoral process was not stopped”, – stated in the message. 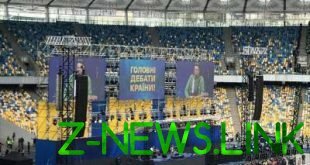 Since the beginning of the vote is the first serious incident since the start of voting, before the observers OPORA reported dozens of technical violations.